To hear the mainstream tell it, the rulers of Saudi Arabia are planning for a long future of relatively cheap oil. This morning, the kingdom took the wraps off a 15-year plan to make the economy less dependent on crude. “We have developed a case of oil addiction in Saudi Arabia,” says Deputy Crown Prince Mohammed bin Salman. 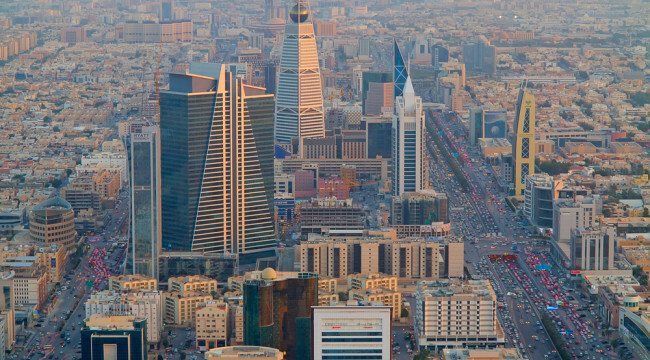 To remedy that situation, the kingdom plans to “raise the capital of its public investment fund to 7 trillion riyals ($2 trillion) from 600 billion riyals ($160 billion) and would sell up to 5% of shares in state oil giant Aramco,” says a Reuters account. The goals are ambitious: Growing the private sector’s share of the economy from 40% to 60%… shrinking unemployment from 11% to 7.6% (what, not 7.5%? )… growing nonoil income fivefold. The details of how to get from here to there, however, appear lacking. But who needs details? 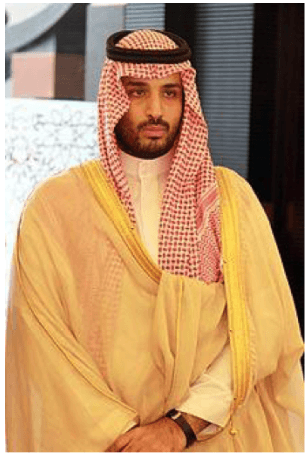 Prince Mohammed — the 30-year-old power behind King Salman’s throne — can just make it up as he goes along. And on top of all that, he’s defense minister — where’s he’s made an absolute hash of things the last 15 months — “bizarre and self-destructive,” is how the veteran Middle East correspondent Patrick Cockburn of the London Independent describes it. Gone is the kingdom’s traditional caution when advancing its interests in the Middle East. Under Prince Mohammed, Saudi Arabia amped up its involvement in the Syrian civil war, while launching an air war in Yemen. “Both ventures have failed,” Cockburn writes: “greater support for armed opposition to President Bashar al-Assad in Syria early last year allowed the rebels to advance, but also provoked direct Russian military intervention, making Assad very difficult to displace. “Bombing Yemen has not forced the Houthi opposition out of the capital Sana’a and, where the Houthis have retreated, there is chaos which al-Qaida in the Arabian Peninsula has used to set up their own mini-state on the south coast of Yemen. “The Saudi leaders are more or less openly saying that they are waiting for the departure of President Obama from the White House to resume their status of most favored ally of the U.S.,” Mr. Cockburn goes on. “But the Saudis are making a mistake in imagining that hostility to them will dissipate once Mr. Obama leaves office,” he says — for the same reasons we’ve been talking about here in The 5. There’s bipartisan support for allowing Sept. 11 families and survivors to sue the kingdom for its ties to the attacks. Ditto for the release of the “28 pages” of a Joint Congressional Inquiry detailing those ties. Presumably someone in the Saudi hierarchy reads the major U.S. papers. Soon the leaders might see the writing on the wall. And then what? The kingdom will have even less to lose by devaluing the Saudi riyal. All year, Jim Rickards has been saying it’s inevitable. It’s the surest way the kingdom can hold onto its dwindling foreign exchange reserves while oil prices are low. And it sounds as if Prince Mohammed is planning on oil prices to stay low for the next 15 years.